Its now well over 3 years since I first started warning that there is something seriously going wrong at Tesco, Britains supermarket giant and that stock investors should take note and sell out, at what was then a stock price trading near its all time high of £3.83, at the time I was criticised for basing my views purely on anecdotal evidence. However, as an experienced investor I WELL UNDERSTOOD that to truly know how a company is performing then one has to experience its service and products first hand as a consumer! 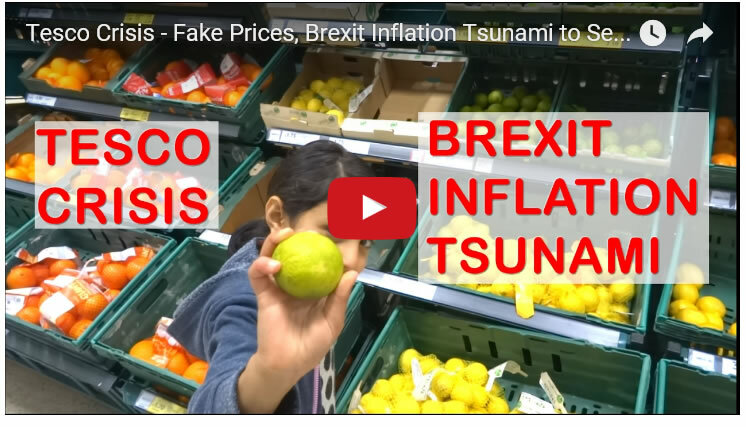 Subsequently the share price collapsed to about £1.30 and since has greatly under performed the FTSE, and so in this series of videos I will determine if Tesco has finally turned the corner or could even worse fate be in store for the supermarket giant during 2017. In June 2016 the people of Britain voted for freedom, against the illusion of freedom that the establishment political elite had manufactured during the past 40 years, one of playing pass the parcel at each general election, a political elite that had systematically been selling British sovereignty to the emerging european union superstate for personal gain. Whilst implementation of the mechanism for leaving the european union remains pending i.e. the triggering of Article 50 which should be triggered before the end of March 2017. However, despite little so far having changed on the ground in Britains relationship with the EU, there was one significant immediate reaction to the vote which was sterling's sharp 20% drop and which currently stands about 17% below its pre-brexit trading level. See my latest video for what the implications are for Britain's super market giant and the wider retail sector during 2017. 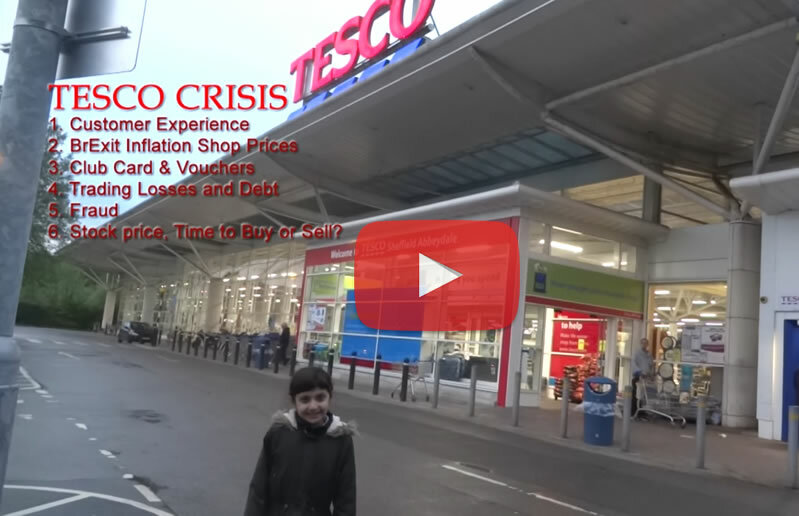 Whilst my first video in this 6 part series looked at customer experience, for it was that which triggered Tesco red warning flags back in 2013. Ensure you are subscribed to our youtube channel for more videos in the 'Tesco Crisis' series.